World of Tomorrow Episode Two: The Burden of Other People’s Thoughts is one of the best things I saw in 2017. 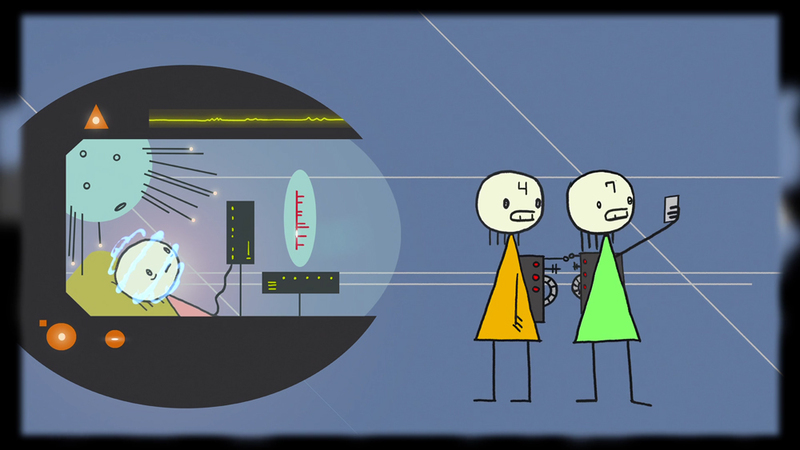 Don Hertzfeldt's remarkable new animated short is mature science fiction, poignant and wry, as filtered through a kindergartner’s kaleidoscopic imagination. And this is less of a metaphor than you may assume. Like 2015’s World of Tomorrow (an Academy Award nominee for Best Short Animated Film), WOT2 follows a little girl, Emily, as she interacts with a clone of herself from the future. To be accurate, Emily 6 is a backup copy of a clone, and her systems are failing. Her own unique memories are beginning to distort and fade, Emily 6 explains to Emily Prime, and in order to live on, she needs to copy Emily Prime’s mind into her own brain. This process will temporarily meld their minds together, and during this dreamlike time they are free to do whatever they like. What follows is a funny and perilous exploration of the Emilys’ mental landscape. Like some abstracted Willy Wonka chocolate factory of the subconscious, their mindscape is full of surreal wonders. Rotating time flowers. Roiling multidimensional air glaciers. With one lick of a memory crystal, Emily can relive past experiences. But watch out for those Memory Tourists – they’re bad news. If this seems confusing, don't sweat it. It would be impossible to fully absorb WOT2 in one viewing, but I was carried away by the humor, the astonishing pace of invention and the gorgeous visuals. Don Hertzfeldt’s classic stick figures are juxtaposed against awesome computer-generated landscapes, and the effect is not only beautiful, but thematically appropriate: it’s the concrete simplicity of the here and now, against the abstract mess of the subconscious. The film’s subtitle, The Burden of Other People’s Thoughts, is actually a sardonic joke. In this story, the “other people” in question are all Emily: Emily Prime, her clones and their backup copies. The burdensome thoughts are not actually other people’s, but Emily’s own – the same never-ending stream of self-examination that occupies most of us, whether we’re conscious of it or not. WOT2 questions the relationship between memory and existence, and sees a dangerously thin line between self-discovery and self-damnation. “The closer I look at things, the less I know,” Emily 6 confesses. WOT2 is a brilliant achievement – thrilling, hilarious, and by turns adorable and existentially troubling. You could easily fill twenty pages exploring Hertzfeldt’s film, but to analyze further would be a betrayal of its spirit. 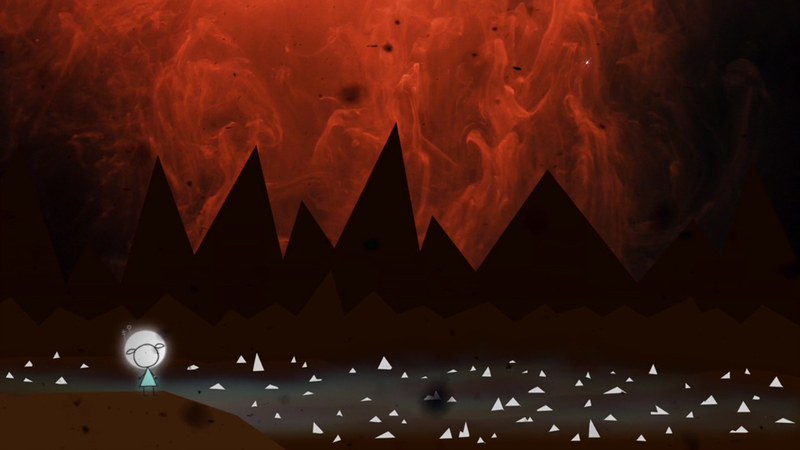 So, just go watch it: World of Tomorrow Episode Two is best experienced in the here and now.